On a vacation to England last summer, one of the highlights was a visit to Bamburgh Castle, the inspiration for Kenshire Castle, the seat of the Casier and now Waryn family in the Border Series historical romance. A highlight of that trip, Bamburgh was both a stranger and a friend. Having toured it virtually many times before, I knew the layout well. But seeing stone walls on a computer pales in comparison to the real thing, and the first time I saw the beach where Sara and Geoffrey have their first intimate moment, I was nearly brought to tears. Leaving Bamburgh, our driver lamented that we did not have time to visit Lindisfarne. 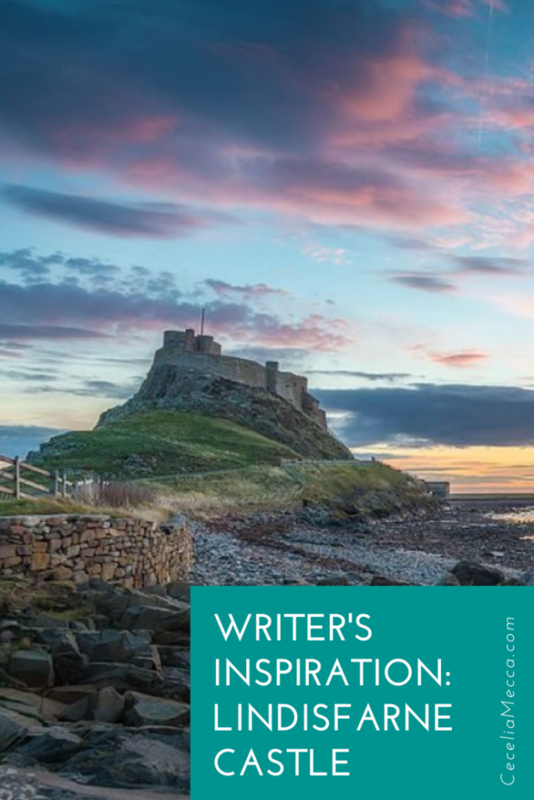 “Besides,” he said, “the tide will make driving impossible, and that is really the best way to get there.” As it turned out, Lindisfarne is an island, accessible by land only during low tide or by boat. Fascinated, I remembered this unique castle when it came time to search for inspiration for our hero's inheritance in ‘The Earl's Entanglement.” The idea of Garrick and Emma ‘stuck' together during high tide was too enticing to ignore. A bit more digging uncovered another English castle accessible only during low tide. Unlike Lindisfarne, raided by Vikings in the 9th century and later becoming a monastery, St. Michael's Mount offered additional images inside the castle since it is still used as a residence to this day. 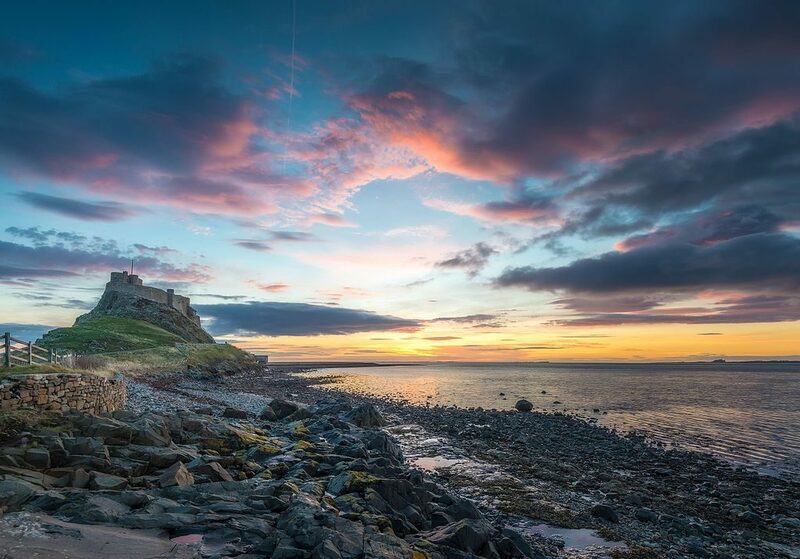 Clave Castle, a mashup of both Lindisfarne on the east coast and St. Michael's Mount on the west, is the perfect romantic setting for a forbidden historical romance about an earl in two countries who falls for a beautiful Englishwoman nearly the same time as he prepares to marry another. Find out what happens when the tide turns Clave into an island while our hero makes the decision between following his heart or loosing his inheritance and maybe even starting a war. The Earl's Entanglement is coming to Amazon and Kindle Unlimited on February 22, 2019. Get a new release notice and put it on your Goodreads TBR list to be notified of the special launch price. **UPDATE: The Earl's Entanglement is available on Amazon and in Kindle Unlimited.